Genomic testing in Holsteins has advanced further with the recent introduction of three new calf wellness traits: calf livability, respiratory disease and scours. This information, available via Clarifide Plus from Zoetis, enables dairy producers to strategically improve calf health and replacement heifer longevity by selecting for these important traits. While such genetic advancements do not replace the need for traditional animal husbandry and disease-prevention measures, they do help minimize disease risk. Improved animal welfare, fewer pharmaceutical treatments and lower calf mortality all are potential results. In addition to the three individual traits, Clarifide Plus also offers the Calf Wellness Index (CW$), a multi-trait selection index that exclusively focuses on calf wellness traits to directly estimate the potential profit contributions of the wellness traits for an individual animal. CW$ also has been added to the Dairy Wellness Profit Index (DWP$). The calf wellness traits further enhances the information factored into DWP$, the most comprehensive animal ranking selection commercially available for Holsteins. It now includes wellness traits for both calves and adult cows, along with other economically important production, performance and longevity-related traits. 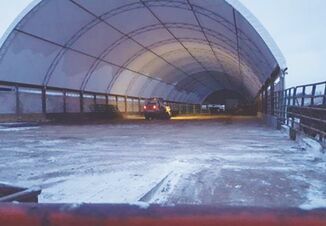 Dan Weigel, Director of Outcomes Research for Zoetis, noted the economic importance of efficient replacement rearing for today’s dairy enterprises. “Heifer replacement costs are second only to feed costs for U.S. dairy farm expenses,” said Weigel. 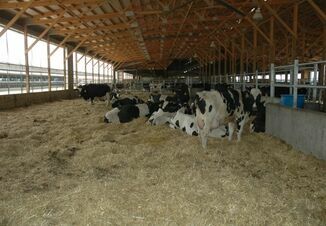 “Herds that have health struggles raising heifers are forced to retain more of them to ensure they have enough replacements.” He added that carrying extra heifers is an expensive insurance policy, and represents a dual economic setback because herds not only incur the additional expense of rearing more heifers, but also miss out on the cash-flow opportunity of selling excess replacements. For more information on Clarifide Plus and the new calf wellness traits, follow this link. 1 U.S. Department of Agriculture. Dairy 2007: Heifer Calf Health and Management Practices on U.S. Dairy Operations, 2007 https://www.aphis.usda.gov/animal_health/nahms/dairy/downloads/dairy07/Dairy07_ir_CalfHealth.pdf. Accessed January 16, 2018. 2 Van Eenennaam AL. Bovine Respiratory Disease Prevention: Opportunities for Genetic Selection, in Proceedings. 2015 Western Dairy Mgmt Conf. http://wdmc.org/2015/Eenennaam.pdf. Accessed January 25, 2018. 3 Stanton AL, Kelton DF, LeBlanc SJ, Wormuth J, Leslie KE. The effect of respiratory disease and a preventative antibiotic treatment on growth, survival, age at first calving, and milk production of dairy heifers. J Dairy Sci. 2012:95(9):4950-4960.